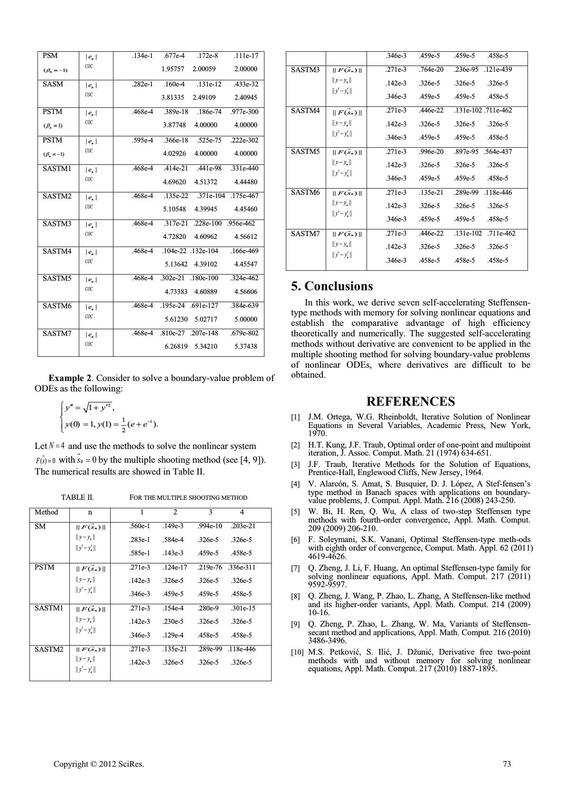 applications for solving systems of nonlinear equations and BVPs of nonlinear ODEs are illustrated. Newton's method becomes Steffensen’s method (SM, see ). 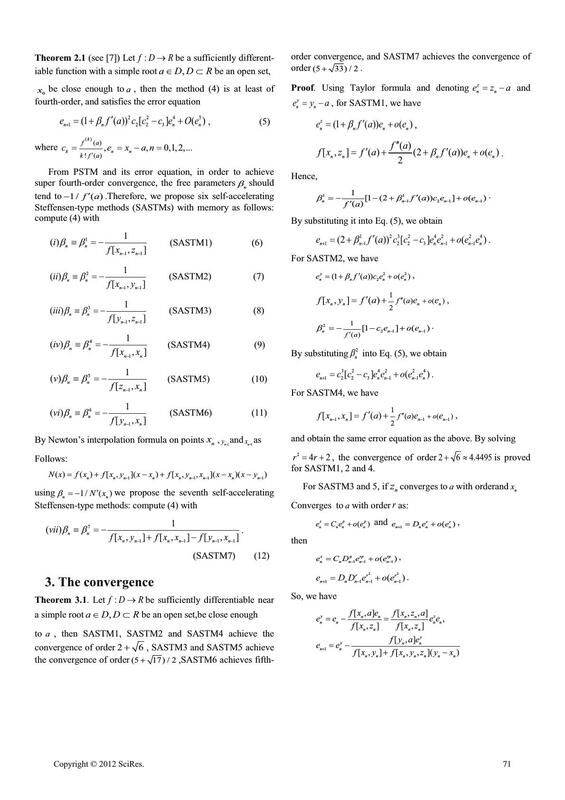 tions were discussed in the literature (see [1, 3, 4, 8, 9]). and makes conclusions in section 5.
without memory (see [5, 7]). Supported by Beijing Natural Science Foundation (No. 1122014). 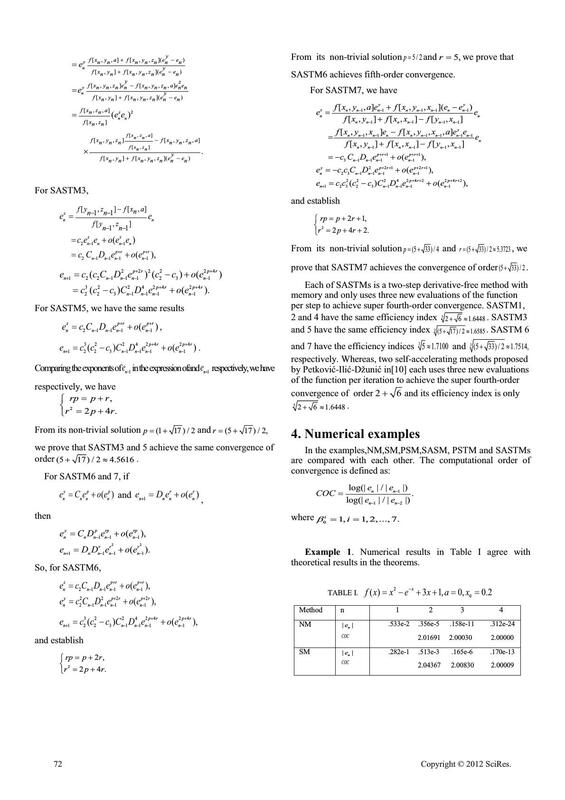 for SASTM1, 2 and 4.
theoretical results in the theorems. by the multiple shooting method (see [4, 9]). The numerical results are showed in Table II. iteration, J. Assoc. Comput. Math. 21 (1974) 634-651. Prentice-Hall, Englewood Cliffs, New Jersey, 1964.
value problems, J. Comput. Appl. Math. 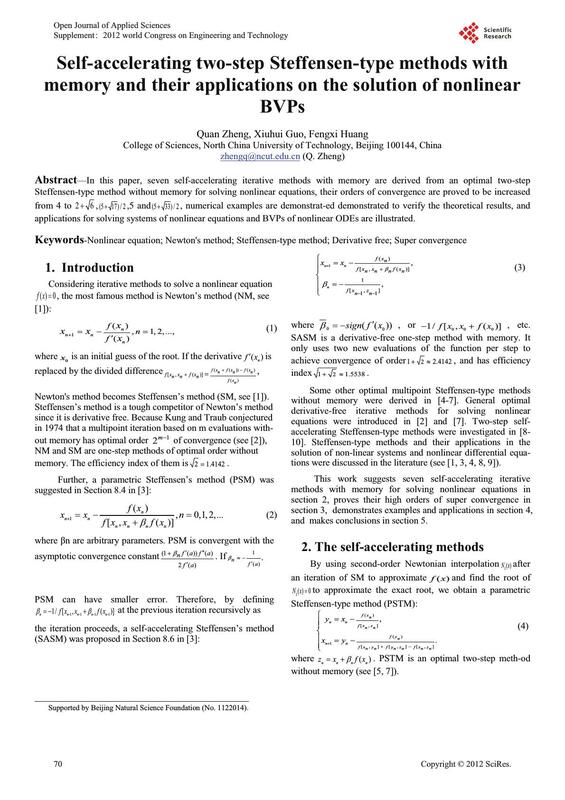 216 (2008) 243-250.
methods with fourth-order convergence, Appl. Math. Comput. equations, Appl. Math. Comput. 217 (2010) 1887-1895.